I, The Wife, have not made dessert for TCV and me in about two months, but this week, I am back into it with a vengeance. This weekend, it started with chocolate cupcakes with chocolate frosting (with dutch process cocoa - a must-have at our house) for Michael's b-day. Today it is the vegan "cheesecake" from Tanya and Sarah of How It All Vegan fame. This cookbook is well-loved with pages falling out, notes here and there, and favorite recipes starred. Can you imagine that this really tastes like cheesecake? However, it is not out to kill you like civilian cheesecake; with silken and regular tofu, blended pineapple, and lemon zest as the main ingredients, it might actually benefit your health instead. It makes us fondly remember that year we were vegan and start to think we really should bake this way more often. Mix all except pineapple in food processor. Pour into mixing bowl. Blend pineapple and then add it to rest of mix. Add wet ingredients to dry a bit at a time and stir as you go. Press into bottom of a springfrom pan and pour in cheesecake filling. Bake cake at 350 degrees for 50-60 minutes until firm. Let cool and refrigerate before serving. Those cupcakes were the best I've ever had ever...no really....I'm not kidding....not even at all. I baked this last night and it is delicious. I made two changes: 1/2 cup brown sugar; canned crushed pineapple. Pineapples and cheese are my favorite, and combining these two makes me crave! 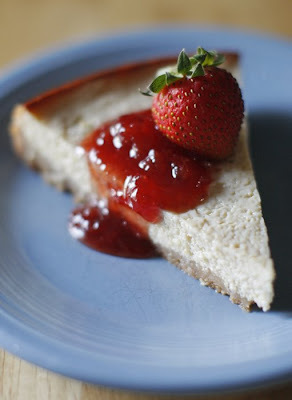 I must try your recipe to taste this another style in making cheese cakes.